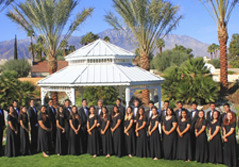 2013 – Concert At The Kennedy Center, Washington D.C.
2nd Place: 3A Division – Shadow Hills 2013 Field Tournament. 2nd Place: 3A Division – Irvine High School 2013 Field Tournament. 2nd Place Irvine High School Field Tournament 2012 Tournament. 3rd Place – West Covina HS Field Tournament 2011 IHS Tournament. November, 2010 – Hollywood Christmas Parade Nationally Televised Parade Performance. December, 2007 Nationally Televised San Diego Holiday Bowl Big Bay Balloon Parade Performance. 3rd Place – Open Class – 2013 Shadow Hills Field Tournament. 3rd Place – 3A Division – 2013 Shadow Hills Invitational Field Tournament. 2nd Place – 3A Division – 2013 Irvine Invitational Field Tournament.